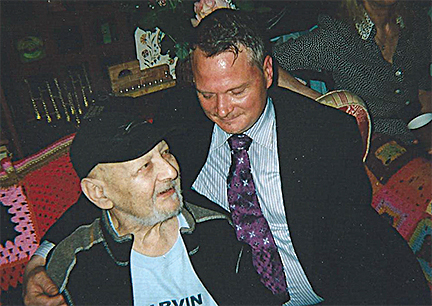 Since 2009, Reverend Ron Sheppard has been a licensed, ordained Interfaith Minister from the All Faiths Seminary International in New York City. He has officiated and celebrated the unions of hundreds of loving couples. He would be honored to do the same for you. The wedding ceremony is a heartfelt moment of promise when you proclaim your vows and make your commitment in front of those you love. As your officiant, he will become your facilitator and partner 24/7 to support whatever your needs are to ensure a stress-free environment. This is to allow you both to feel relaxed and focused on creating the wedding ceremony you will always remember. Rev. Ron offers you a totally unique wedding ceremony designed just for the two of you. He personalizes your wedding by first meeting with you both to get to know you better and discuss your wedding ceremony wishes. His special questionnaire helps him create your unique love story and then weaves those thoughts into your wedding ceremony. Please press the Wedding Wire button on the left and see for yourselves how comfortable couples have felt having Ron be their partner on their very special day. 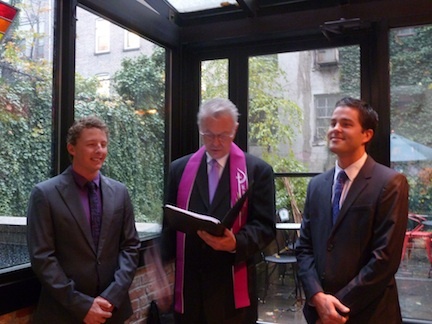 Reverend Ron has had the pleasure of marrying couples in New York City and the Tri-State area. Reverend Ron has officiated ceremonies at The Pierre, Park Lane, St. Regis, Peninsula, Lotte New York Palace, Ink, UN Plaza, Eventi, Waldorf Astoria and Greenwich Hotels as well as The New York Athletic Club, 21 Club, Vaucluse and India House. Included within some of these ceremonies couples requested various wedding cultural rituals, namely Unity Candle Lighting, Butterfly Release, Sand Ceremony, Broom Jumping, Wedding Lasso Cord to Unity Tea Ceremony. Reverend Ron would entertain adding these rituals or any others that you would want to include into your ceremony. Reverend Ron has provided support and comfort to couples about to be married so that they are totally ready to fully enjoy their special day from Long Island to Westchester to Connecticut to New Jersey. Some of these lovely wedding ceremonies were held at The Swan Club in Roslyn, Long Island, Leonard’s Palazzo in Great Neck, Tavern on the Park in Queens, Brooklyn Botanical Gardens, Angelina’s in Staten Island, Ethan Allen Hotel in Danbury Connecticut, and Battello’s on the water in Jersey City. 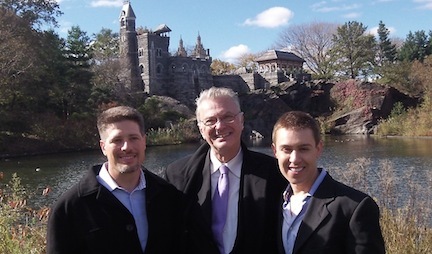 One couple wrote, “Reverend Ron was supremely easy to work with in crafting our customized wedding ceremony. He was always on time, available and accommodating in making our day run smoothly. He loves what he does and that shines through at every step of the process. Not only does he provide peace of mind, but he provides peace of heart in knowing that your love for your future spouse will be treated with love”. that he is known as the Reverend of Central Park. Rev. Ron is happy to marry all couples who want to be joined in matrimony. Thank you for making our day very special. I doubt we could have ever had a better officiant. We felt like we were with an old friend and when we remember April 12th you will always be included in that memory. Thank you so much for the service. It was very uplifting and spiritual. We will cherish every moment of it. Here are some photos as per your request. I hope you like them. Please keep in touch as we will do the same. We want to thank you for making our wedding such a fantastic occasion, you made the day. We appreciate you putting so much thought into composing our vows and even having never met us we feel as though he said all of what we wanted to say to each other. All of our family and friends have commented how great you were on the day, adding a personal element to the service. It was fantastic of you to take the time to join us after the ceremony at the Chelsea Pines Inn. In other words, we can’t thank you enough! The Reverend Ron Sheppard created a wedding ceremony that was rich in personal acknowledgement toward my husband and myself.His loving nature and warm spirit were very soothing on our big day. His acceptance of all people regardless of any difference they may exhibit is astounding, and frankly very refreshing. His delivery of the sermon and blessing was nothing short of amazing.He built a foundation for our future with his thoughtfully written benediction. 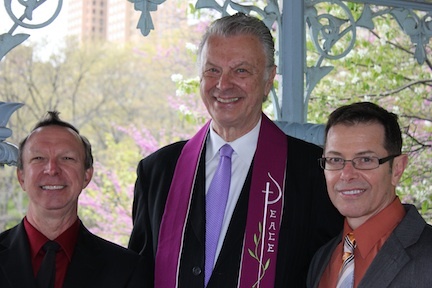 I would recommend Rev Ron for anyone who wants to be treated well by their wedding officiant..
6/17/12 Married in their apartment on the Upper West Side of Manhattan. I also helped them renew their wedding vows this year (2013).